(5/12/2018) Free Parking Santa is back! Santa Claus and his helpers are back in Freo spreading Christmas cheer by roaming the streets and paying for shoppers’ parking. 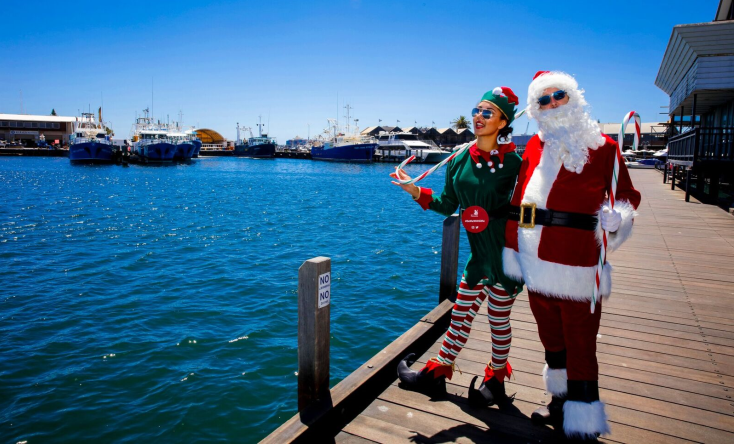 For tips on Santa’s whereabouts and updates on the latest sightings, check out the City of Fremantle Facebook page. If you see Santa and his elf grab a selfie and use the hashtag #freeparkingsanta. Join in the Christmas spirit with a festive sing-along and enjoy free children's activities and entertainment throughout the evening.